Peter is a passionate watcher and photographer of nature and wildlife. His passion and enthusiasm is linked to getting out into the environment as a therapeutic balm for the pressures in life. Peter says: “I have had traumatic incidents in life, but I have always been able to cope, although sometimes only just. My most often used strategy is to disappear into the wild landscape and marvel at nature and, where possible, sharing that passion with others. 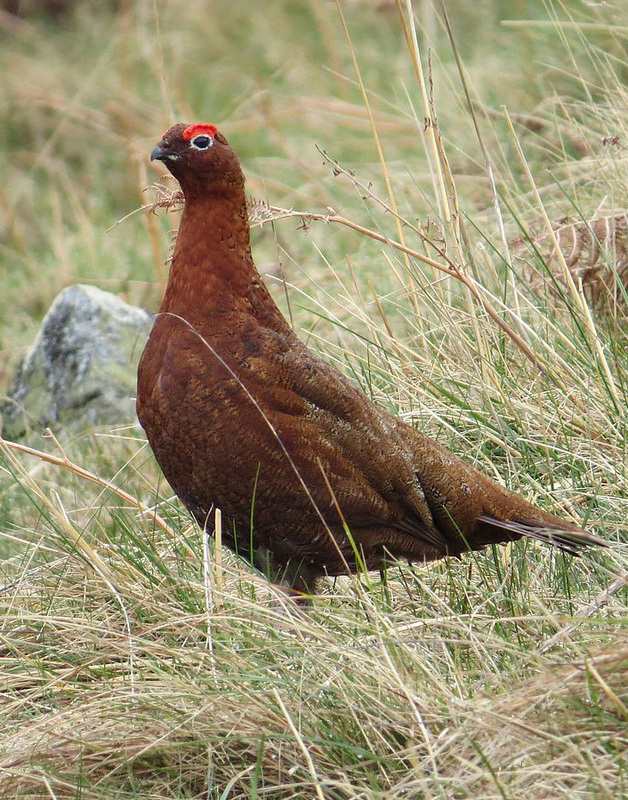 The Scottish Parliament has convened the Grouse Moor Management Group to analyse the practices which are necessary to make driven grouse shooting economic. This is an encouraging step. However, as impressive author Lesley Riddoch writes in The Infamous Grouse it is difficult to disassociate the issue of wildlife welfare and the ownership and tenure of land. Gamekeepers are often between the proverbial rock and hard place. Their livelihood and accommodation depend on the landowner, who in turn requires larger and larger bags of grouse. The hunter, paying up to £3,000 for shooting rights, expects to have many birds passing by his gun to test his skill. The keeper’s reward at the end of the shoot, his gratuities, which supplement his meagre income, depend on the success of the day, measured by the number of birds killed. 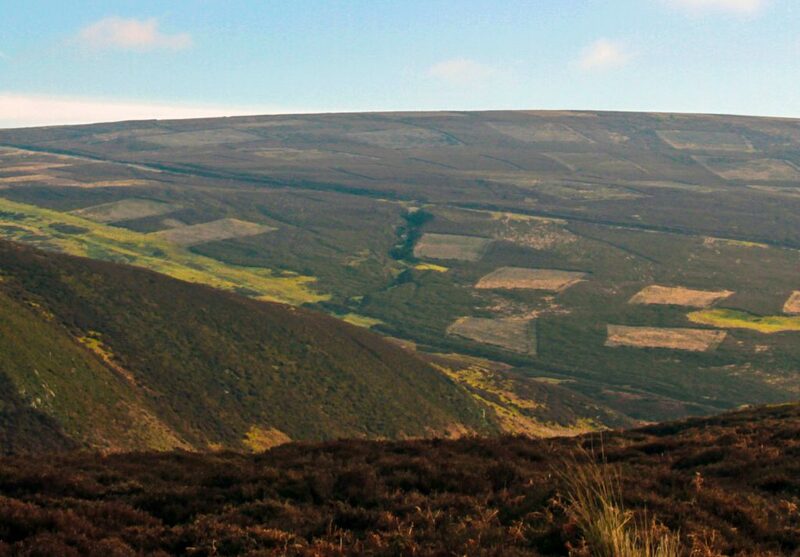 I contend that this has led to large increases in the number of grouse per square kilometre of managed moorland. Studies indicate that a natural population of red grouse would be between 5 and 30 pairs of birds per square kilometre, but an article in the Economist stated that, “For shooting to go ahead, the density of birds must exceed 200 grouse per square kilometre. Any less, and the shotguns are put away”. The article, rather than concluding that numbers are kept artificially high, uses these high numbers as justification for further eradication of predators and species competing with grouse. I would venture that this is the view of an economist, not a conservationist. While landowners may not specifically demand any management regime, the gamekeeper’s job, his house and the level of gratuities he receives will depend on the ability to have large “bags” of birds. The consequence of this is that driven grouse shooting has become an agricultural activity; farming grouse especially for the gun. This has consequences for the regime of environmental support that the grouse moor owners receive. The latest figures available show that they received around £4 million in subsidy in 2014. The move from subsidising land ownership to only granting subsidies for environmental improvements, and especially rewarding biodiversity, would argue against continuing this support. There is strong evidence that the mortality of satellite tagged birds of prey is significantly higher in the proximity of grouse moors. However, predators are not the only species which are subject to control on grouse moors. They also include those animals competing with grouse for food. An article in the Herald has claimed that 38,000 mountain hares have been killed on grouse moors in a single year. The current estimated total population of mountain hares is around 350,000 or less. The cull therefore represents around 10% of the total population. The rules for disposing of dead stock which apply to farmers do not apply to grouse moors. Any farmer’s fallen beasts must be disposed of in an environmentally sensitive way, usually through a licenced knacker. Grouse moor owners can dispose of the hares they killed by digging a pit and dumping the carcasses in it. This provides a reservoir of infections, such as botulism, which can be passed on to carrion feeders, such as foxes, ravens, crows and red kites. As well as this, “stink pits”, as they are known, are often surrounded by brush to direct scavengers to enter by one route, which is set with a snare. The pits save the moor owner the expense of disposing of corpses more appropriately and prevent the culling of predators from being monitored. It also makes the moor an unpleasant place to walk on and therefore makes the control of predators less likely to be observed. I understand that, following the debate in Holyrood in June, the matter of the continued use of stink pits was remitted to the Grouse Moor Management Group for consideration. Spring traps are used to trap small mammals and the activity is legal under a special Order. The conditions are meant to ensure that the traps do not have a bycatch of vulnerable species. However, spring traps have been found which have captured rare wildlife, including an incident in Derbyshire where a Goshawk was found with broken legs and which a post-mortem indicated that the injury was caused by a spring trap. While snaring is legal and those who set snares must be licenced, it can be argued that its use is barbaric and should be banned. The requirement to monitor snares only once a day could be inflicting unnecessary pain and distress on the snared animal. In a recent case, video evidence of illegal persecution was ruled inadmissible, on the grounds that the pictures were taken without the consent of the person photographed or the owner of the land on which the alleged offence took place. I am among many people who have stated that human rights legislation must not be used to allow those involved in criminality to be immune from prosecution. The pursuit of those engaged in this type of activity must be seen in the context of a police force under great pressure. They may see these crimes as less important than those involving theft or personal attack and abuse. However, I would like to put forward the view that, if such so called “victimless crimes” are tolerated, respect for law in general could be lost. If laws are not enforced, they need to be reviewed to see if they should be repealed. If we continue to tolerate illegality on the grounds that offences cannot be proven to the rigour required for a prosecution, there could be a backlash from those who say that society is not protecting wildlife. Wildlife Tourism: more valuable to the economy? The Grouse Moor Management Group will be examining the environmental, economic and social benefit of driven grouse shooting. I do not have views on the social impact and little to say about economics, but I am very clear about my views on the environmental impact. The group will have to consider any reduction (or end) to driven grouse shooting on the economy of the Scottish moorland. It is estimated that grouse moors employ less than 3,000 full time equivalent employees, at an average wage of £11,401, well below the minimum wage. The wages of gamekeepers will be enhanced with gratuities, but these will be conditional on having large numbers of grouse passing the guns. In contrast, the RSPB, just one of the wildlife charities, has 1,300 employees, 18,000 volunteers and more than a million members (including 195,000 youth members). The RSPB is just one of many wildlife non-governmental organisations. Experienced gamekeepers have a great deal of knowledge of the area and wildlife of the area they manage. It is my view that, if the skills and experience they have can be used to support conservation and wildlife tourism, the impact on the moorland economy would be positive. The environmental benefits of driven grouse shooting have concentrated on the increase in other bird species, especially waders, such as golden plover and lapwing (5 times higher), and curlew (2 times higher). However, other birds, notably meadow pipit, skylark, whinchat and carrion/hooded crow have been shown to be less abundant by 1.5, 2.3, 3. 9 and 3.1 respectively. While evidence is less clear, mammals such as red fox, stoat, weasel and mountain hare are all likely to be fewer on grouse moors, as they are regularly shot or trapped by gamekeepers. Game birds are exempt from testing for lead shot and chemical residues are not routinely tested for. The use of lead shot is illegal when shooting wetland birds, but no such restrictions apply to moorland. 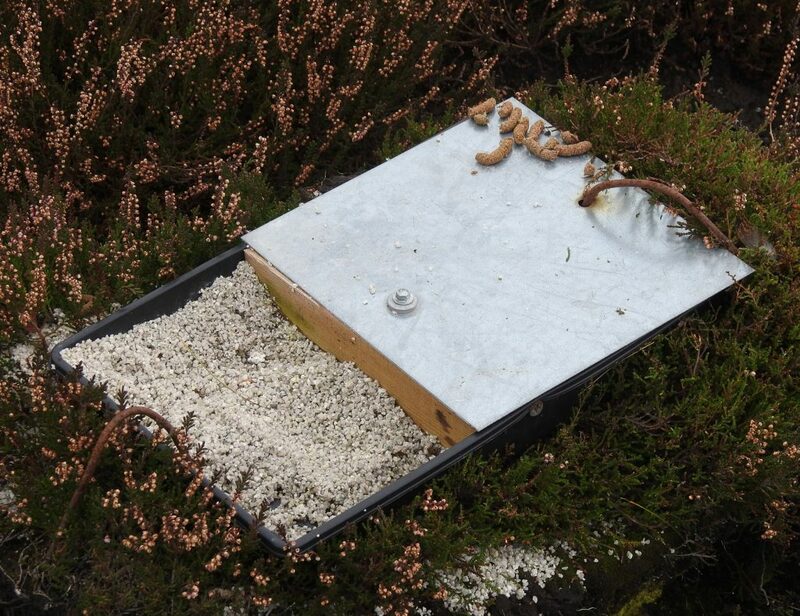 Medicated grit is routinely used on grouse moors to reduce the burden of predatory worms. The level of the medication used routinely exceeds the 5% that is permitted by its UK licence. A “super wormer”, with a burden of the active ingredient, Flubendazole, of up to 50% can be used under a special licence. There has not been a single test of red grouse to examine for these chemicals or their residues entering the food chain. Regardless this issue, the need for regular medication on an apparent wild population of birds is an indication that the population density is too high. 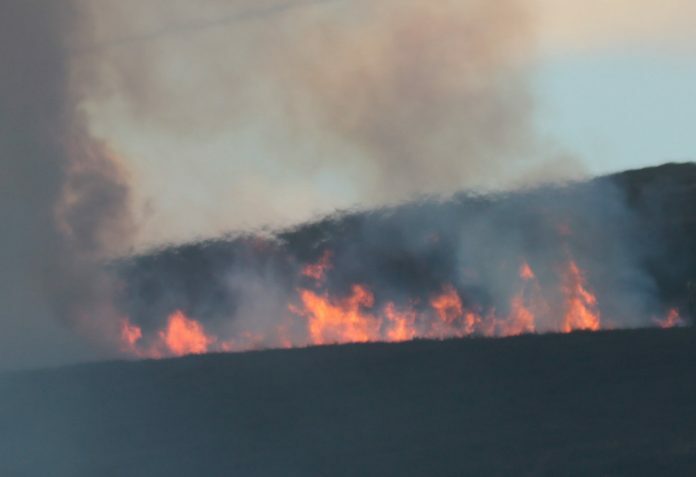 At a moment in time when the world is becoming more aware of the dangers of climate change and air pollution, the burning of heather as a means of managing moorland seems out of place. Although those burning are required to avoid creating smoke likely to damage health or cause a nuisance and not disturb or destroy wild birds and their nests, or other protected animals, plants and habitats, my view is that it is impossible to do this in practice, even in a dry winter such as that we have had this year. I was unable to stay at one of my favourite wildlife watching spots in the Borders because the smoke was acrid and the visibility very poor. Burning also releases the trapped carbon into the atmosphere, something which should be avoided. There are alternatives to burning, such as grazing and cutting. It is true that compaction of ground by heavy machinery may be problematic in some upland areas, these areas are often those with boggy ground, which may not be suitable for burning. It is important that the environmental benefits of burning are addressed in a scientific manner, and decisions based on evidence, not just perceived wisdom. The scientific evidence shows that the population of grouse is maintained significantly higher than in a natural ecosystem. The only way that driven grouse shooting can be economic is by large scale control of predator species, and this has been shown to include both legal and illegal activities, both in methods and quarry. The burden of proof needed for a criminal prosecution is necessarily high. This can result in illegal activities avoiding punishment, especially if the offence is seen as a low priority by the police. Licencing could set a series of obligations which would allow behaviours which are not acceptable to be controlled by the potential loss of the right to the activity and where the burden of proof can be less rigorous. I believe the following actions are proportionate and needed to protect the diversity of wildlife in our uplands. Ending the use of sink pits in favour of proper disposal of bodies of legally culled predators, either by entering the food chain through licenced game merchants or disposal by knackers . The right for the licencing authority or its agents to install surveillance cameras to ensure that the safety of protected wildlife is assured, especially our iconic birds of prey. Ending the use of snares to capture predator species. It should be made clear that any infringements would put the licence in jeopardy. Investigating the number of grouse which would occur naturally in well managed moorland without the pressure of shooting. To withdraw the licence for estates where the number of grouse per square kilometre is in excess of a permitted level. An obligation on the licence holder to ensure that traps to capture weasels and mink are set in such a way that bycatch is avoided. Review the granting of agricultural subsidies as a result of changes to the regime following departure from the EU. Limit the use of Flubendazole to the levels licenced for general use in the UK. Undertaking an examination of lead and chemical residues in a random sample of red grouse. Consider an end to burning heather as a means of managing moorland and replace by harvesting heather as a crop.